I have wanted to read this one for a while now. I’m a fan of time travel and stories with alternate timelines so I thought this would be just the thing for me. 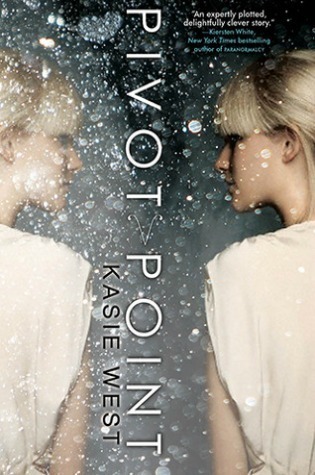 While it may not have lived up to the self-imposed hype I’d given it, Pivot Point was still enjoyable in its own contemporary romance kind of way. 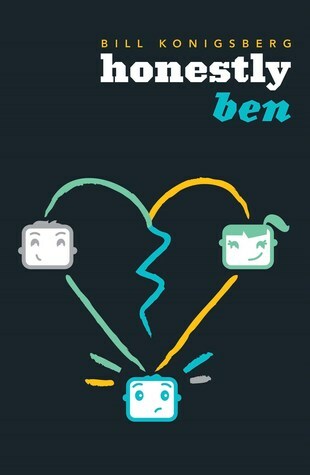 It has a mystery and a bit of suspense, but for the most part, it plays out very much like a lot of other YA romances. I guess the real point of difference comes from the fact that there were two stories running parallel to each other that we switched back and forth between every second chapter. The way in which the two different plots interweaved with each other the further we got into the book impressed me. Events that occurred in one possible timeline would get a mention in the other as a nice tie-in. However, it did get a little confusing at times, as characters would occasionally overlap and I’d forget which reality we were in. Still, these were moments that I enjoyed and would have liked to see more of. A lot of the time was spent on regular high school stuff that just felt like filler to me. Sure, it helped the characters in getting to know each other, but it just wasn’t grabbing me enough to invest a whole lot in the outcome. That did come, but just not soon enough. I felt like I was slugging through until about the ¾ mark. I can’t pinpoint what did it, but suddenly it was good. Not great, but still, at that point I willing to latch on to anything. I started enjoying the romance, I felt the struggles, and found the characters to be a little smarter than I thought they were. There weren’t any great revelations as to the paranormal world and how it came to be or anything along those lines, but the smaller mysteries that had been cultivated along the way felt satisfactorily solved. I actually closed the book thinking ‘that made sense’ and appreciated the choices that Addie had made. I wouldn’t go rushing back to this book, but I think the end made up for the journey. If you enjoy all of the angst that goes along with high school dramas you may enjoy this more than I did.